The following businesses are proud to offer discounts to members of the Mizzou Alumni Association. Look for our “Discount Program Vendor” decal at participating businesses! If you have additional questions, please contact the MAA at 1-800-372-6822. When shopping in person, you must present your membership card in order to receive a discount. Alumni Hall: 10 percent off their entire purchase in store or online. Please show membership card upon checkout in store. Baby Earth: 10 percent off Baby Earth products. Discount does not apply to tax, shipping, gift certificates or minimum-priced products. The Mizzou Store (with locations on campus, and in Chesterfield and Kirkwood): 10 percent off sportswear and MU logo or insignia items. Alumni also save 10 percent by showing a current MAA membership card or shopping online. Online discounts require a promotional code. Mr. Tuxedo: Free shoes with full tuxedo rental ($25 value). ShopMOSports.com: 10 percent off entire purchase at checkout (does not apply to tax and shipping). Not applicable to sale items. SportsMemorabilia.com: 10 percent off entire order with the use of promotional code. Columbia Mall Car Wash: $2 off Premier package. $4 off Executive package. $5 off Rain-X Complete package. Fletcher’s Truck Caps: $2 off Premier package. $4 off Executive package. $5 off Rain-X Complete package. Jiffy Lube, MFA Oil Company: $3 off full-service oil change at any Columbia Jiffy Lube. National Air Warehouse: MAA members receive 10 percent off items and accessories up to $300 or can save up to $100 with promotional code for a 2 percent discount storewide. Free shipping included on both offers. Not valid with any other offers or discounts and excludes PayPal payments. Saferide Motor Club: Association members, university students and their families and faculty and staff receive $20 off the Standard SafeRide Motor Club program ($49.95). Additionally, members receive $25 off the deluxe Saferide ($74.95). Services include towing, jump starts, tire repairs, fluid deliveries and lock-out assistance (promotional code). Cartridge World: 10 percent off any refilled or re-manufactured ink and toner cartridges. Not valid on OEM cartridges, printers or paper. Kaplan Test Prep: 15 percent off all test prep courses at any of the 150 U.S. centers (promotional code). The Princeton Review: 15 percent discount when you present your MAA membership card. R.R. Hird and Company: 30-minute free consultation (a $40 value) with one-hour purchase. Includes software training and technical support, including virus and spyware removal. Renaissance Plastic Surgery: 10 percent off service (exception on products). Traffic Law Services: Traffic Law Services handles traffic tickets, DWI and DWR. Free advice. Free consultation. 15 to 25 percent off all services when you show your MAA member card. Columbia Missourian: 15 percent off regular subscription price ($85 annually). The Missouri Unions: 10 percent discount on special event or meeting room space in Brady Commons or Memorial Union. Museum of Anthropology Gift Shop: 10 percent off any full-price item. Museum Shop – Museum of Art & Archaeology: 10 percent off any item over $1, except paper goods. Tiger Garden: 10 percent off any in-store, full-price order or purchase (not valid on wire orders). Tiger Team Store: MAA members save every day at the Tiger Team store- where REAL Tigers shop! Get a 15-percent discount whenever you show a current MAA membership card. Discount only valid in-store. Located on the north end of Memorial Stadium, the Tiger Team Store isopen Monday through Saturday and loaded with sportswear and gifts for Tigers of all ages. Free parking is available outside the store. University of Missouri Press: 10 percent off all books excluding sale items. A.L. Gustin Golf Course: MAA members receive 15 percent off all non-sale Missouri apparel and golf items. Full Moon Productions: 20 percent discount on Full Moon Haunted House attractions in Kansas City, MO (The Edge of Hell, The Beast, Chambers of Edger Allen Poe, and Macabre Cinema) (promotional code). Pebble Publishing: 15 percent off Missouri regional interest books, including The Complete Katy Trail Guidebook (free catalog). Six Flags-St. Louis: This online benefit program offers not only substantial savings, but also allows you to “print and go” so you have your ticket in hand when you get to the park. No waiting in line to purchase tickets. The Muny: The lowest price for New Muny Season Tickets available ONLY, April 4-May 8, 2016. Adobe Financial Corporation: Waive up to $250 in processing fees in the purchase or refinance transaction of a residential property. Loan must be done by Jill Waldrop, Adobe Financial Corp, loan officer. Flat Branch Mortgage, Inc.: FREE Appraisal and 50 percent off Flat Branch Mortgage’s processing fee. A combined value of over $575. Allen’s Flowers, Inc.: 10 percent discount on any plants, cut flowers, silks, balloons, or gift items (cash/carry only; not good on sale items). Arizona Gifts & Souvenirs: 10 percent discount on all merchandise sold online (excludes shipping/handling charges, not valid with other specials or offers). BellaBlu Maternity: 15 percent off storewide. Discount does not apply towards the purchase of a gift certificate (promotional code). I.B. Nuts & Fruit Too, Inc.: 10 percent discount (excludes sales items and holiday promotions). From You Flowers: 20 percent on all full-price floral and gift items with From You Flowers. Your 20-percent discount is also valid on our entire new line of award-winning cookies, cakes and brownies (redeem discount for the personalized Mizzou Alumni Web link; promotional code). Lakota Coffee Company: 20 percent off coffee drinks, specialty drinks and merchandise. N.H. Scheppers Budweiser Gift Shop: 10 percent off all authentic Anheuser Busch logoed gift items. Get to the Budweiser Gift Shop off Paris or Business Loop 70 East. Play It Again Sports: 10 percent off retail price (not valid with other offers). Columbia only. Spoonfoolery: 20 percent off your first order. Cannot be combined with other offers. Tiger Cleaners: 10 percent discount on all dry cleaning. Please show MAA member card at time of purchase to receive discount. Discount valid at all four Columbia locations. Tiger Spirit: 10 percent off Mizzou merchandise (not valid with any other offers). Ulrich and Helva’s Cards: 10 percent off all merchandise. Boehmer Chiropractic and Acupuncture: Show your MAA membership card to receive a complimentary consultation, exam and any necessary X-rays. Committed to Health Chiropractic Center: MAA members pay $20 for consultation, orthopedic, neurological exam, spinal analysis and report of findings. (This is for new patients only). Excel Vision, P.C./Gail Bass, OD: Show your MAA membership card to receive the following discounts at Excel Vision: 20 percent off glasses, 10 percent off contact lenses, 15 percent off contact lens exam and 10 percent off an eye exam. Massage Works: First massage $38; subsequent massages at 35 percent off normal price. Metro Chiropractic and Nutritional Wellness Centre, Inc.: 10 percent off services. University Optical: 15 percent discount on all goods and services at University Optical (not valid with any other discount, does not include eye exams at Mason Eye Institute). Wilson’s Total Fitness: MAA members receive a $45 discount on a single membership and a $75 discount on a family membership at three Columbia locations. Discount applies at time of enrollment only. Must show MAA membership card. All Pool Filters 4 Less: 10 percent off entire order. Cannot be combined with any other discounts (promotional code). Allen’s Flowers, Inc.: 10 percent discount on any plants, cut flowers, silks, balloons or gift items (cash/carry only, not good on sale items). Barewalls Interactive Art, Inc.: 20 percent off order. Does not apply to shipping charges and may not be combined with any other offer (promotional code). Blue Chip Exterminating: $30 off Initial Pest Control Service. $100 off Sentricon Termite Control (may not be combined with any other offers or discounts). Dave Grigg’s Flooring America: 10 percent discount on carpet, vinyl, hardwood, laminate, ceramic and natural stone tiles and paint (installation and sale items excluded). Must present card before purchasing. The Lawn Company, Better Lawns Naturally: Free liquid compost application with signed contract (in the Columbia area). Mohawk Flooring: 10 percent off the retail purchase price of qualifying carpet and wood styles. See coupon for details. Must present printed coupon along with current MAA membership card (promotional code). Save up to 50 percent at hotels including Hyatt, Marriott, Hilton, Holiday Inn,Omni, Drury and Westin. America’s Best Value Inn: Sign up for free Value Club to get immediate 15-percent discounts, room upgrades, late check-out and other benefits at more than 950 hotels across North America. Americas Best Value Inn and Suites-Westport: Standard double or Standard king for $62. Standard double suite or standard king suite for $89. Full breakfast buffet and two complimentary beverages in the evening. These rates are available only by calling the hotel directly or contacting via email (jcommuso@clubhouseinn.com). Please mention you are with Mizzou. Aspen Lodge at Estes Park: 10 percent off lodging (subject to standard reservations policy). Auto Europe: Discounts at over 1,000 three-star and four-star European hotels (contact MAA for ID#). Best Western Center Pointe Inn: Save 15 percent a night per stay. Not valid on holidays, special events, packages or with other discounts. Mention “Mizzou Preferred Value Rate” or present membership card upon check-in. Best Western Music Capital Inn: Save 15 percent a night per stay. Not valid on holidays, special events, packages or with other discounts. Mention “Mizzou Preferred Value Rate” or present membership card upon check-in. Choice Hotels: Up to 20 percent off (login to view discount code). Comfort Inn Thousand Hills: Save 15 percent a night per stay. Not valid on holidays, special events, packages or with other discounts. Mention “Mizzou Preferred Value Rate” or present membership card upon check-in. Comfort Inn West: Save 15 percent a night per stay. Not valid on holidays, special events, packages or with other discounts. Mention “Mizzou Preferred Value Rate” or present membership card upon check-in. Comfort Inn & Suites: Save 15 percent a night per stay. Not valid on holidays, special events, packages or with other discounts. Mention “Mizzou Preferred Value Rate” or present membership card upon check-in. Courtyard by Marriott, Columbia: 10 percent off at Courtyard by Marriott, Columbia. Not available on special event weekends; must contact sales department three days prior to arrival to receive the discount. Fairfield Inn by Marriott: 10 percent off available room rates (complimentary continental breakfast) at the Columbia location only. Hampton Inn: 15 percent off the cost of your stay when you show a membership card. Holiday Inn Express: 15 percent discount a night per stay. Mention “Mizzou Preferred Value Rate” or present membership card upon check-in. Holiday Inn Express & Suites Columbia University Area-Hwy 63: 15 percent discount a night per stay. Mention “Mizzou Preferred Value Rate” or present membership card upon check-in. Hotel Frederick: 10 percent discount on room rates for MAA members (rates based on availability). Innsbrook Resort and Conference Center: 15 percent discount on overnight accommodations. Lexington Hotels: Sign up for our free Lexington Experience to get immediate 15-percent discounts, room upgrades, late check-out and other benefits at 20 locations across the U.S.! The Lodge of Four Seasons: 25 percent off the “Best Available Rate” category at the time of reservation. Rivercene Mansion Bed & Breakfast: 10 percent off one-night stay (with reservations, subject to rooms available). Staybridge Suites Columbia-Hwy 63 & I-70: 15 percent discount a night per stay. Mention “Mizzou Preferred Value Rate” or present membership card upon check-in. Stoney Creek Inn: 10 percent discount on all Mizzou gift shop items. Newest hotel property under construction in Sioux City, Iowa. Super 8 Motel-Columbia/East: 15 percent off a room when you show your MAA membership card at the time of purchase. University Ave. Bed & Breakfast: 15 percent off one night’s lodging with reservations when you show an MAA membership card. Victorian Country Inn B&B: 10 percent discount on bed & breakfast, dinner theatre, Old Time Vintage Photography or Victorian tea parties (excludes specials). Wyndham Hotels Group: up to 20 percent off the best available rate (login to view discount code). McAdams’, LTD – Fine Jewelry & Gifts: 10 percent off new jewelry, antique jewelry, china, crystal (except Waterford), silver, paintings, antiques and accessories. Ecco Lounge: 10 percent off food and drinks. Frasher’s Steakhouse & Lounge: 10 percent off all food & beverage. Jimmy Johns (all Columbia locations): Buy a gourmet sub or club sandwich and a side item (pickle, chips or cookie) & receive a 20-ounce drink free (not valid on slim subs). Lee’s Famous Recipe Chicken: 15 percent off dinners or packs at the Columbia and Jefferson City locations. The Settler’s Inn: 10 percent discount with reservations only. Shiloh Bar & Grill: 10 percent discount on appetizers. Sidepockets: 10 percent off all food and merchandise. Excludes liquor. Upper Crust Bakery: 10 percent off purchases excluding alcoholic drinks. Whiskey Bar: 10 percent discount. Wild Wing Cafe: 10 percent off (valid on all discounted items). Wimfield’s: 10 percent off full-price menu items. Yogoluv: 10 percent off your purchase. Cannot be used for gift card purchases or combined with other offers or discounts. Key Largo Tanning Salon: Two-week trial for fitness for $10; one week of tanning for $10 when you show membership card. Alamo: 15 percent off retail daily and weekly rates. Auto Europe: Discounts at over 4,000 worldwide car rental locations and scheduled flights from major U.S. cities to Europe. Avis: Traveling just got easier — and less expensive! 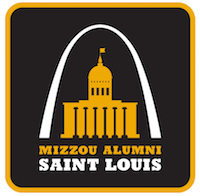 The Mizzou Alumni Association and Avis are providing alumni association members special rates on car rentals (promotional code). Budget: Discount flat rates (promotional code). Hertz: 15 percent discount (promotional code). National: 30 percent discount on business rates (promotional code). North American Van Lines: Mizzou Alumni Association and North American Van Lines are teaming up to offer you a 60-percent DISCOUNT on your moving expenses for interstate moves nationwide! Plus, you’ll receive FREE Replacement Cost Insurance for your move! For more information, call Gordon Taylor at 800-987-3608 and identify yourself as a member of the Mizzou Alumni Association. Saferide Motor Club: $20 off Standard SafeRide Motor Club program. Association members, university student and their families, plus faculty and staff pay $49.95 instead of the retail cost of $69.95. $25 off deluxe Saferide; members pay $74.95 instead of the retail cost of $99.95. Services include towing, jump starts, tire repairs, fluid deliveries and lock-out assistance. Not a member but want to use the discount program? Join MAA today!